Beldanga is a small Municipal town and a region in Barhampur subdivision of Murshidabad locale in the province of West Bengal, India. Beldanga is an important trade centre of Murshidabad district . It is a residential community yet it have every one of the offices that necessities in day by day life. Most of the population of Beldanga belongs from Muslim community. But ,the Municipal areas are dominated by Hindus. The biggest festivals of Beldanga is “Kartik Larai (fight of various Hindu Gods on road)” . But, the Bengali Hindus biggest religion festival “Durga Puja” also celebrate Godly in Beldanga too. The biggest budget Durga Pujas in Beldanga are Tarun Sangha Durga Puja, Sarulia Colony Durga Puja, Netaji Park Durga Puja, Madda Durga Puja, Harimati School Durga Puja , Janakallan Bazar para etc. Barua Colony Tarun Sangha is the biggest registered social club in Beldanga. 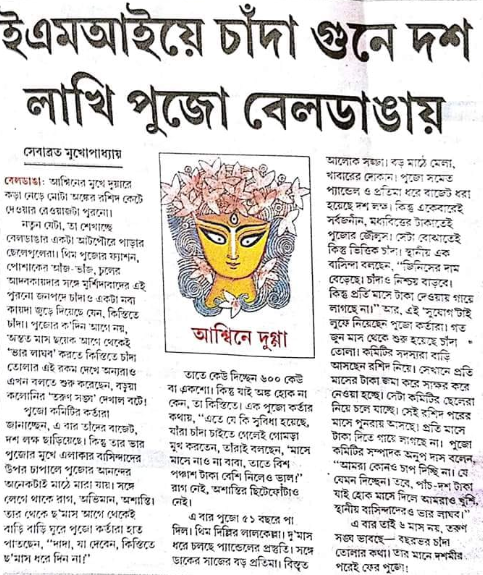 This year Tarun Sangha going to organize 51st Durga Puja . 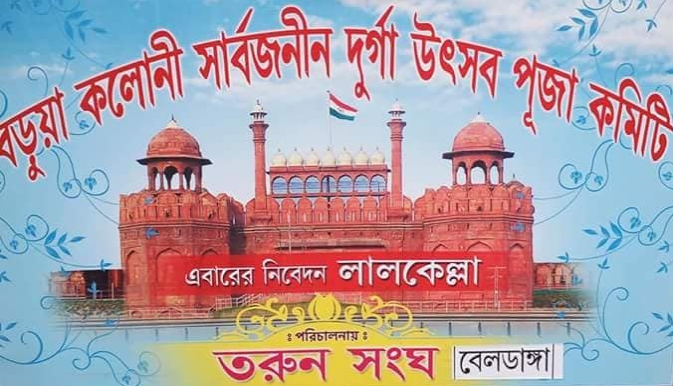 The attractive theme of Beldanga Traun Sangha Durga Puja 2018 is “Delhi Red-Fort” . Durga Puja Secretary Anup Das said to media that this year Puja Committee’s budget may exceed 12 lacks . 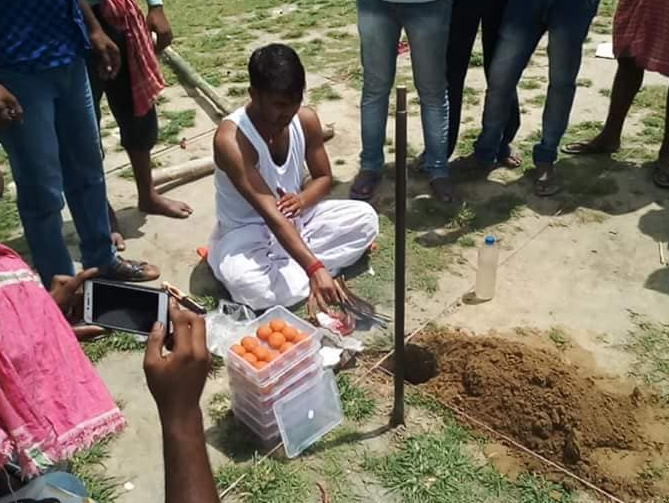 To minimize the pressure of Puja Subscription, they begins the system of EMI (Equated Monthly Installments ) to collect money from the local citizens. If you want to post your local festivals on our esteemed website (jobrule), simply mail us or contact on our facebook page. Wish you all Happy Durga Puja 2018.